I'm fascinated by the differences between rich people and poor people. Are the differences mostly a matter of class and economic mobility? Are people born to wealth and poverty and destined to remain there? Or are there observable differences in attitude and action that tend to lead people to specific levels of affluence? From my experience, it's some of both. I believe that there are absolutely systemic issues that contribute to wealth and poverty. But I also believe that there are attitudes and habits that foster wealth and success. These attitudes and habits can be learned. They can be applied to our own lives, allowing us to build better futures. I grew up in a family that had always been poor, a family that had lived for nearly 100 years in rural Oregon, barely getting by. The things we had and said and did were “lower class”, even if I didn't know it at the time. My father was a serial entrepreneur and the primary breadwinner for the family. Occasionally his businesses did well. Mostly, they didn't. But even when our family did have a decent income, Dad spent that money on boats and airplanes and computers. He didn't save. Then when hard times came — and hard times always came — he had to sell those toys to put food on the table. So, I've experienced poverty. Maybe not poverty as extreme as some others, but poverty. From my experience, I believe that poor people have certain habits, attitudes, and expectations. I think that these habits, attitudes, and expectations differ from those of wealthy people. Sometimes these qualities are a result of being poor (or wealthy); sometimes these qualities lead to being poor (or wealthy). In other words, it's neither the “chicken” or the “egg” — it's both. What do I mean? Let's take some time today to explore the types of habits that foster wealth and success. Important note: Before we go any further, I'd like to acknowledge that this is a complex subject, one weighted with political, economic, and social issues. I don't expect for one blog post to be a definitive exploration of the topic. I do, however, hope that this article can highlight some insights from myself and others — including you. This piece is not meant as a takedown of the rich or a takedown of the poor. It's meant to highlight habits and attitudes that can improve the odds of success. Ask the readers: Can you use positive reinforcement to train smart money habits? Most of the time, I can sit down and write a blog post in an hour or two. Or three. I get an idea, then pick up my laptop, find a quiet spot, and hack out my thoughts. Some articles, however, take months (or years!) to create. This is one of them. You see, near the end of our RV trip across the U.S., Kim and I picked up a puppy. 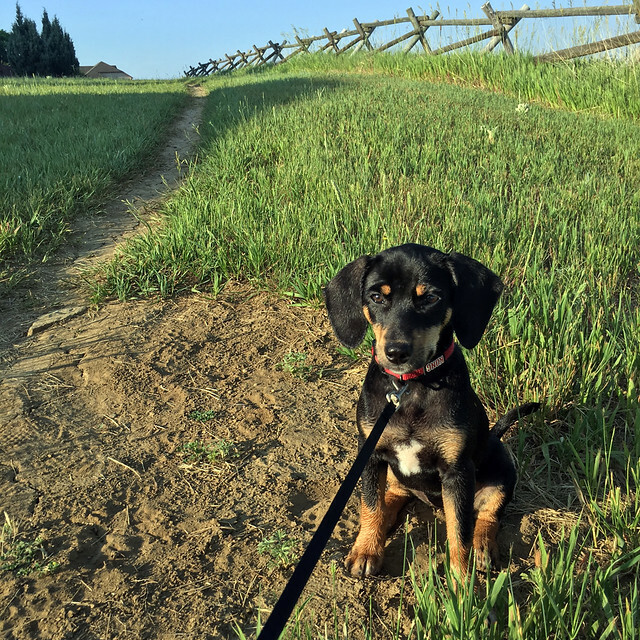 While visiting my cousins near Tahlequah, Oklahoma — the end of the Trail of Tears and the setting for Where the Red Fern Grows — we bought one of their hound dog mutts. Naturally, we named her Tahlequah (TOWEL-uh-kwah). From the start, we've been in love with her. She's SO CUTE! Tally is a hound dog through and through. She is ruled by her nose. She has a strong prey drive. She is fiercely defensive of her territory. We knew from the start that proper training was going to be imperative. From the day we got her, we started employing positive reinforcement. What is positive reinforcement? 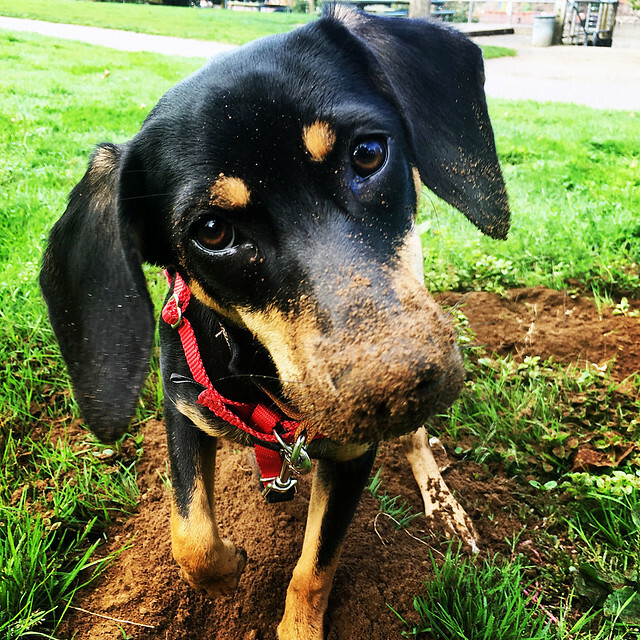 The basic idea is that when somebody (or somepuppy) does something you want, you reward the behavior as soon as possible. This, in turn, tends to encourage the behavior in the future. It's a like a virtuous cycle. Anyhow, Kim and I used positive reinforcement with Tahlequah from the beginning. The moment she did something we wanted, we rewarded it. We praised her and treated her. When she began to understand that certain actions — sitting, for instance, or lying down — led to positive reinforcement, she offered those actions more frequently. As she did, we began to name them. When she sat, we said “sit” and we gave her a tasty treat. Everybody was happy. 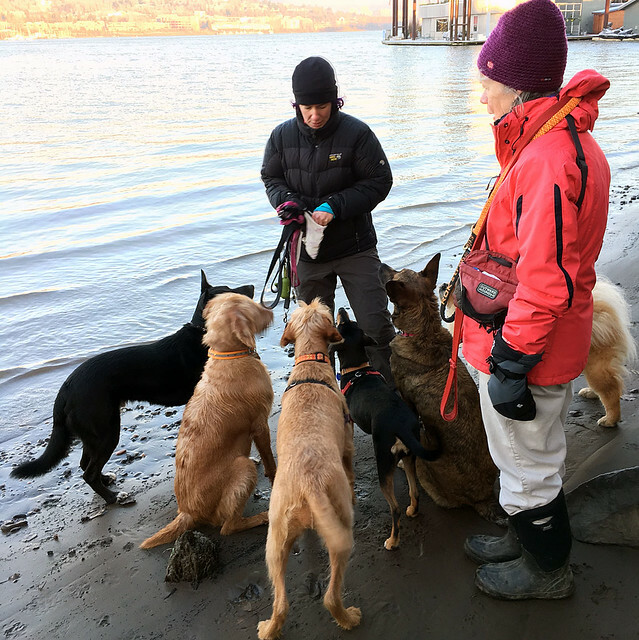 A year ago, I snapped this photo of a woman from our dogwalking group (Lara, a practicing psychologist) using positive reinforcement to get a group of dogs to sit. All at the same time. In June of last year, I got an idea for a blog post: What if we used positive reinforcement to encourage desired money behavior? That'd be awesome! Over the past eighteen months, I've tried to tackle this topic six or seven times (most recently today). But I'm never able to make it work. It's not that I think it's a bad idea — I think the idea is great! The real issue is I can't think of many examples of how to put this into practice. Exactly how would you use positive reinforcement to build smart money habits? Now and then, I see small examples. For instance, Kim deposits checks to her USAA account by phone. She snaps a photo, then uploads it to her account. When she does, the USAA app makes a cha-ching noise. “I love that sound!” Kim told me a while back. “It makes me want to deposit more checks.” That, my friends, is positive reinforcement. But it's only one example. But when I try to think of other examples, I come up short. I suppose employer matches to 401(k)s (and other retirement programs) are examples, but they seem to have marginal effect. Other times, the examples of positive reinforcement in the world of personal finance don't make much sense. A child tax credit that incentivizes having children? Uh, that's a little weird. Or credit card rewards that encourage users to spend? Hmmm…. So, after eighteen months of trying to write an article about positive reinforcement and personal finance, I'm giving up. Instead, I'm going to turn this around and ask you for examples. 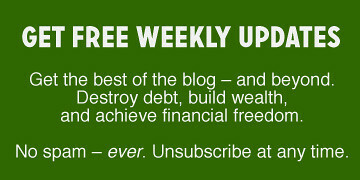 Have you seen examples of positive reinforcement in the world of personal finance? What are they? More to the point, have you applied positive reinforcement in your own life? Have you used it to encourage yourself toward better behavior? Have you used it to encourage your spouse, your children, your extended family? Postscript: I'm not kidding when I say I've tried to write about this six or seven times since June 2016. I have several half-finished articles about positive reinforcement and money gathering dust in Dropbox. The first is from July of last year and it's 3500 words long…but still not worth publishing. Tom's family was poor. They lived in a single-wide mobile home. His father built bar stools in the garage; his mother waited tables. Because there was no room inside the trailer house, Tom's family slept outside in tents. And because his father's business never made much money, his mother learned to pinch pennies. She was a queen of thrift. “I still have that savings account,” said Paul. “The same account my parents opened for me when I was a kid is my savings account today.” Paul's father also taught him how to invest in the stock market. His parents owned a split-level home on several acres of land, and they raised their children in a middle-class environment. They instilled smart money habits in their kids. Paul and his sister were raised with effective money blueprints. Dad was sometimes unemployed. During those dark days, he had trouble putting food on the table or buying clothes for his kids. But he wasn't always broke.